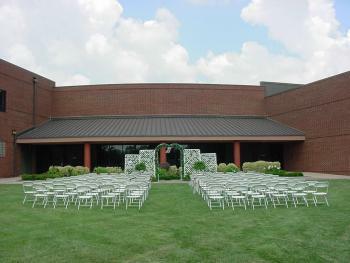 With it's glass walls looking out towards the beautiful RedBud Courtyard and Terrace, the RBC room makes a great venue for wedding receptions, family reunions, or any special event. ** Average capacities allow for seating only. Head tables, buffet lines, staging, dancing area, etc. are not compensated in above capasities.